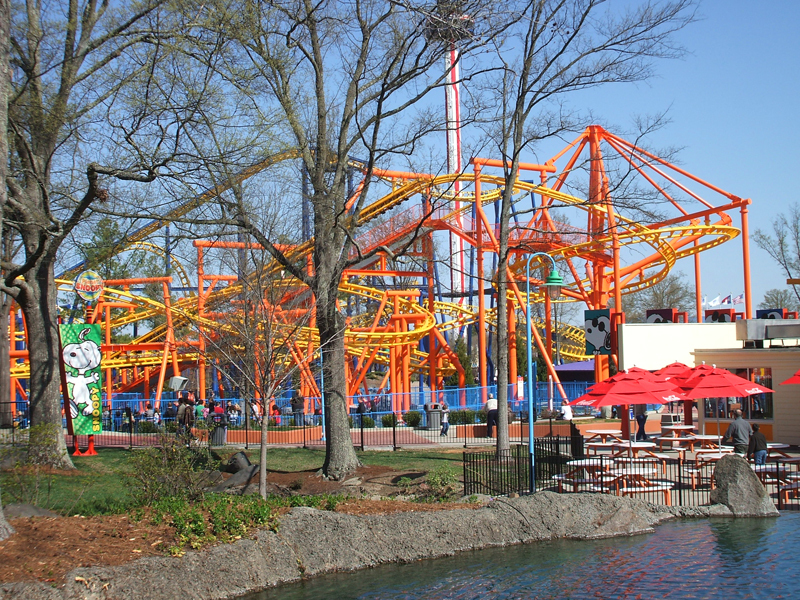 A few days ago, we showed you California’s Great America’s newly rethemed Planet Snoopy, but another opened last weekend as well, at Carowinds. Since this isn’t the big addition for Carowinds with Intimidator, the park’s new B&M hyper coaster, also debuting this year, Planet Snoopy has kind of fallen into its shadows, literally. The first thing you notice when standing in Planet Snoopy is the huge, 232 foot tall mega coaster that now surrounds you, it really provides a nice backdrop for the beautiful children’s area. Like at California’s Great America, every ride was renamed and rethemed from the former Nickelodeon characters, with most getting a fresh coat of paint. The whole area looks and feels brand new, with no true additions to the area, truly an amazing accomplishment by Cedar Fair and the park. 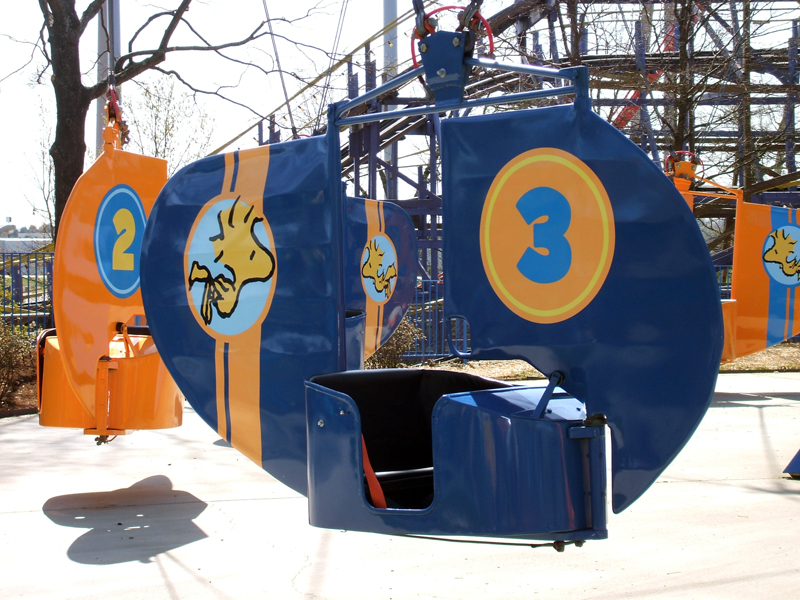 The new paint job for Flying Ace Aerial Chase really livens up the area. 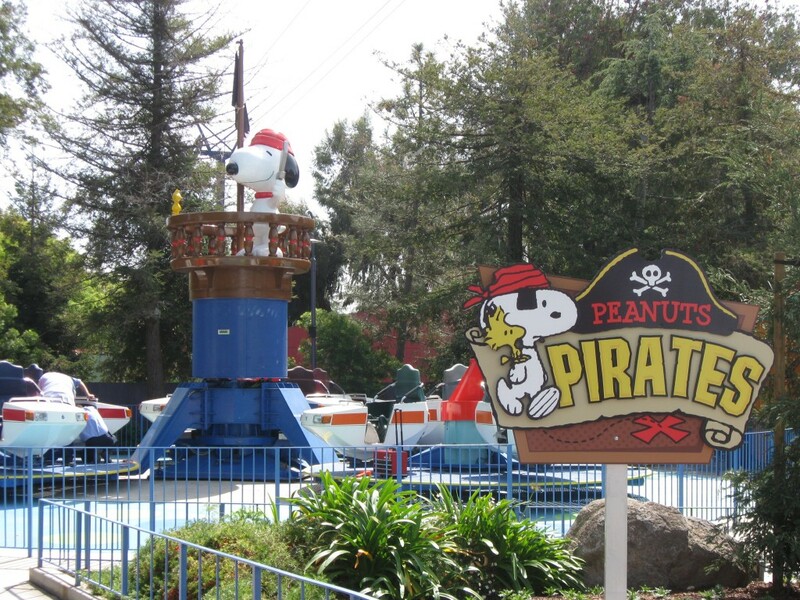 All of the rides feature great Peanuts inspired details, this one on Snoopy vs. Red Baron. The new look for “Woodstock Gliders” is widely preferred over the previous Danny Phantom theme. 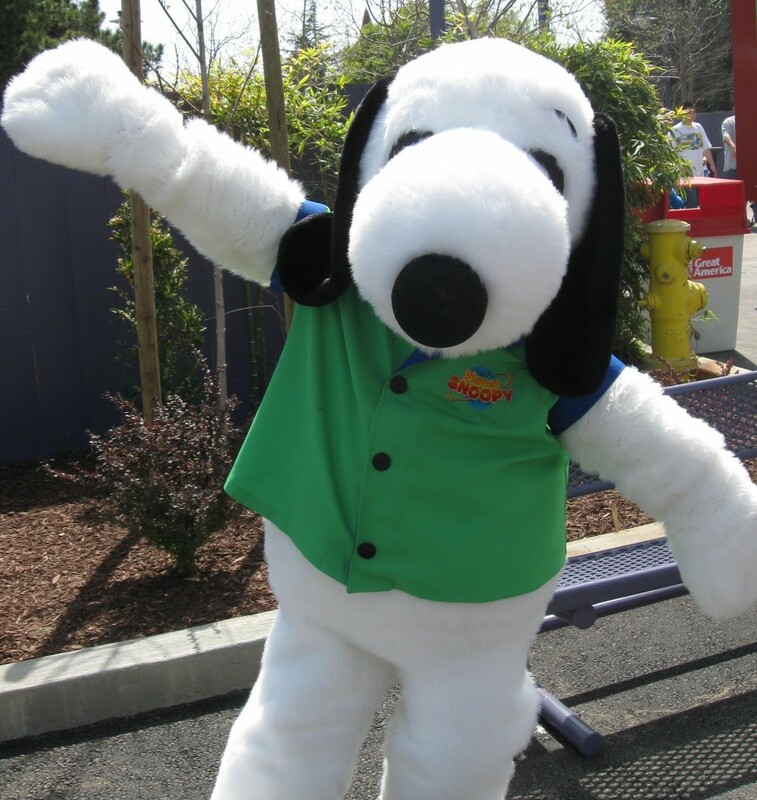 What do you think of Planet Snoopy at Carowinds? 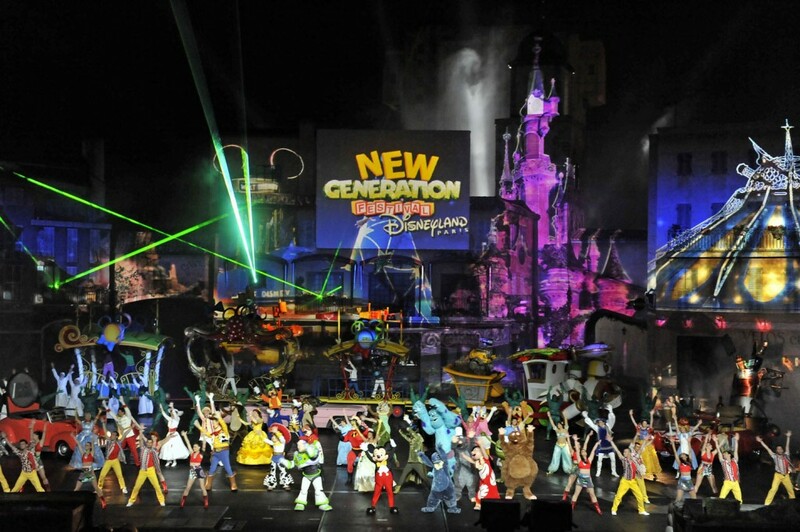 Prefer it over the Nickelodeon themeing? Leave your comments and Park Thoughts! 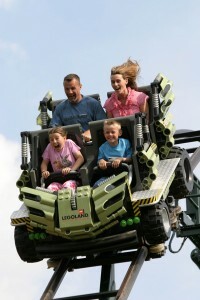 LEGOLAND Windsor has dismantled Jungle Coaster, the park’s wild mouse coaster this past off season. The coaster was plagued with problems, mainly due to complaints from neighbors. Opened in 2004, the Mack custom Wild Mouse was one of the park’s hree coasters. Unfortunately, in recent years, the park was received so many complaints from the locals that the park had to take action. In an attempt to reduce noise, the park added doors as well as a roof completely enclosing the cars, similar to a golf cart. This new addition only caused more problems, increasing loading times, making wait times much longer, and also reducing the thrill factor. Also a problem with the new car design was it reduced the train to having just 2 adults, so families with larger kids were not allowed to ride together. And as a family park, these new requirements were not appealing to park visitors. So as a result, in the pass few months, piece by piece the coaster has been completely taken down and removed from the parks. After riding a mirror image of the coaster in LEGOLAND California and it was certainly enjoyable. Too bad just to many complaints came in. All I can say now, is let the rumors begin about this ride being moved to LEGOLAND Florida….. 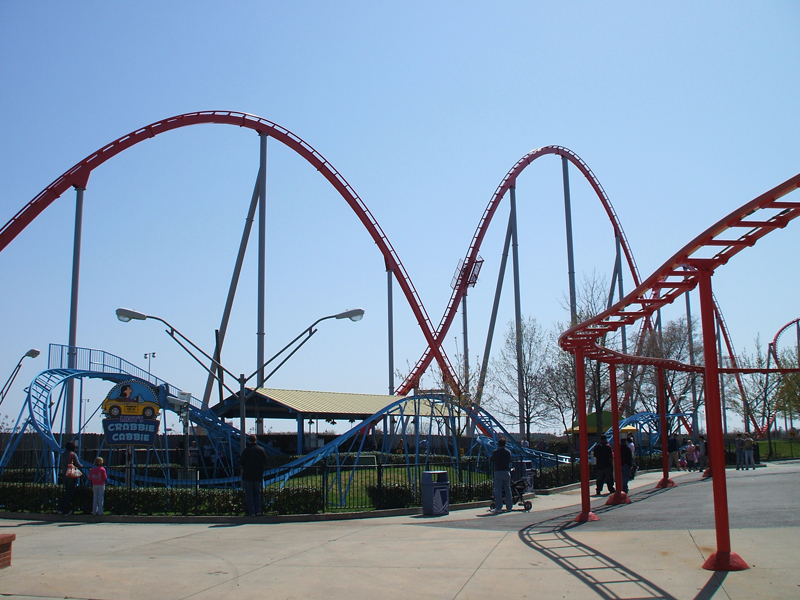 Yesterday, March 28th, 2010, was California’s Great America’s opening day. 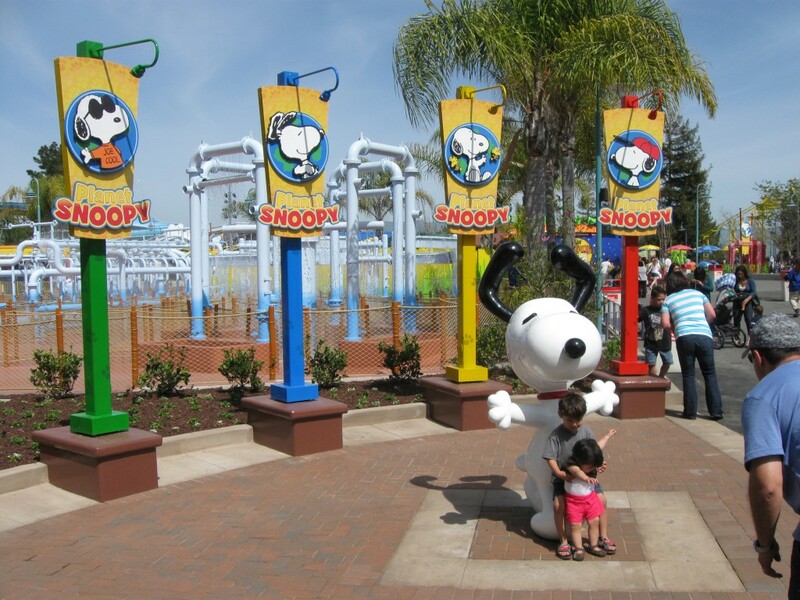 It was also the first day for the brand new Planet Snoopy family area of the park. Planet Snoopy takes the place of the former Nickelodeon Central area. 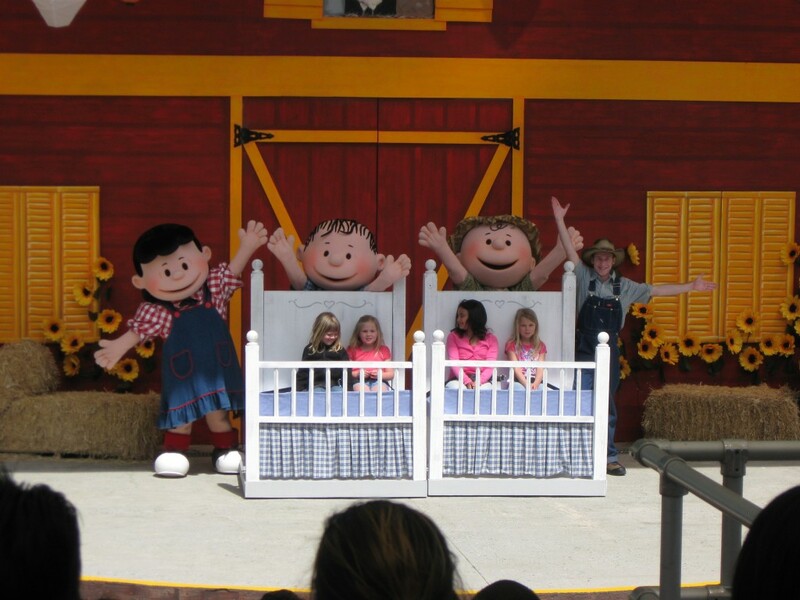 The Peanuts gang now has taken over this portion of the park where you can ride children friendly attractions, watch fun and energetic shows, and even get a picture with your favorite character from the Peanuts gang. 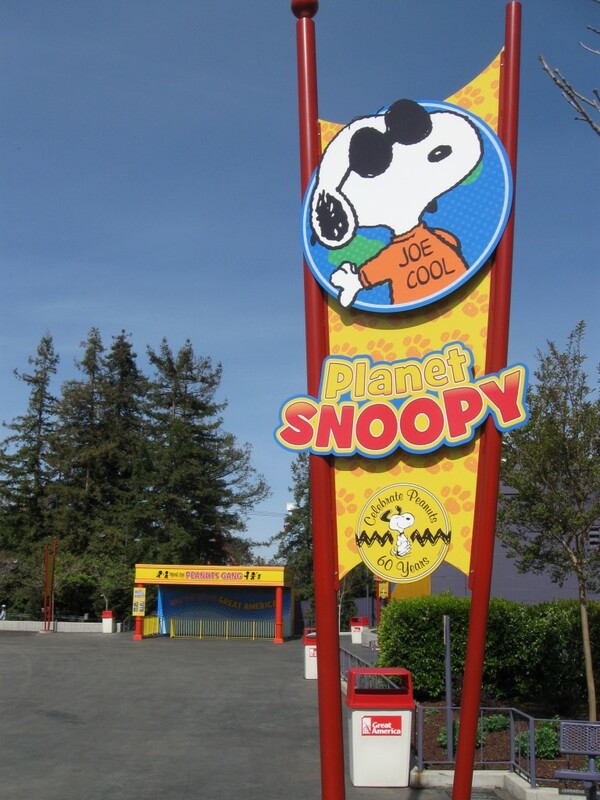 Upon entering Planet Snoopy from the far end of the park, guests are greeted by this entry plaza with a statue of Snoopy and 5 different banners showing Joe Cool in his various forms. Overall, the new additions were welcomed by guests. There were lots of people taking pictures with the various photo spots set up around the park, the entertainment offerings seemed had good crowds, and the walk around characters each had decent amount of crowds. The decor for Planet Snoopy was great. While it was mostly the same Nickelodeon Central items just dressed up, the fresh coat of paint really does make the banners, figurines, and other items just pop. Planet Snoopy transformed several of the Nickelodeon Central attractions: Spongebob Square Pant’s Boatmobiles became Peanut’s Pirates (pictured above), Dora’s Dune Buggies became Sally’s Love Buggies, Wild Thornberry’s Treetop Lookout became The Great Pumpkin Patch, Runaway Reptar is now Woodstock Express, Nickelodeon Theater is now called Peanuts Playhouse, and finally, the Rain Maze is now Snoopy’s Splash Dance. 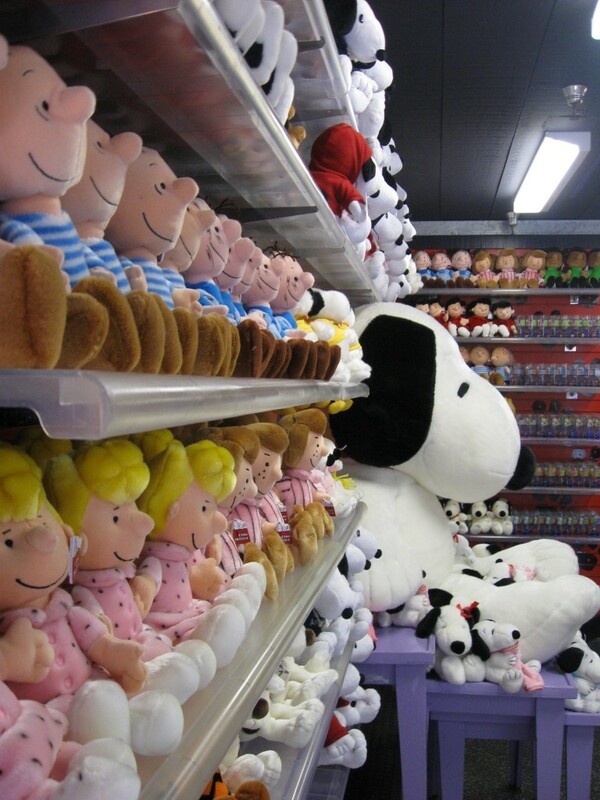 Luckily, California’s Great America certainly stocked up on merchandise for Snoopy and his pals with plenty of plushes to meet every Charlie Brown fan’s desire. 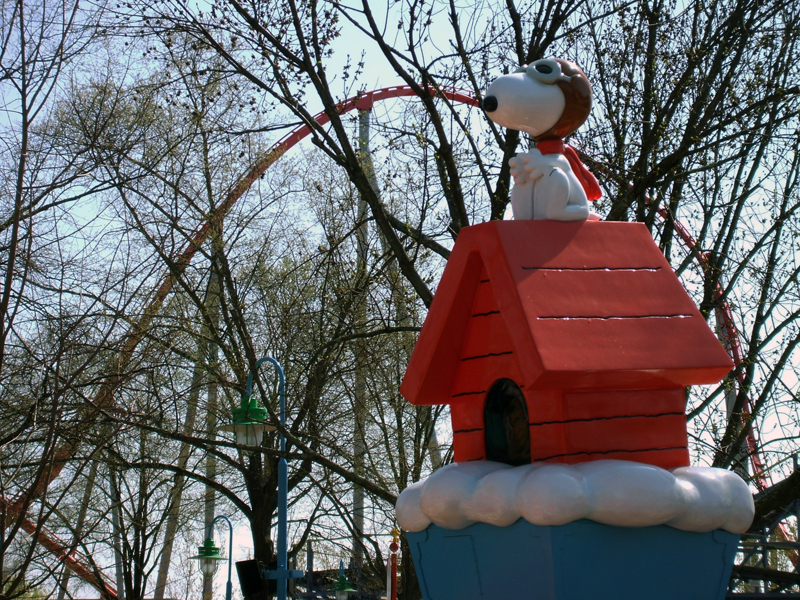 Planet Snoopy was definitely a solid addition to the park for 2010. I highly reccomend families in the park going to check it out. Check back in the coming weeks for more pictures! Thanks for reading. Dorney Park has made it official that they will be adding Cedar Point’s old Demon Drop later this year. The 1st Generation Intamin drop tower has a long history at it’s former home in Cedar Point but it has now been given a new home in Allenstown, Pennsylvania. It’s official, the Wizarding World of Harry Potter will make its first public debut on June 18, 2010. 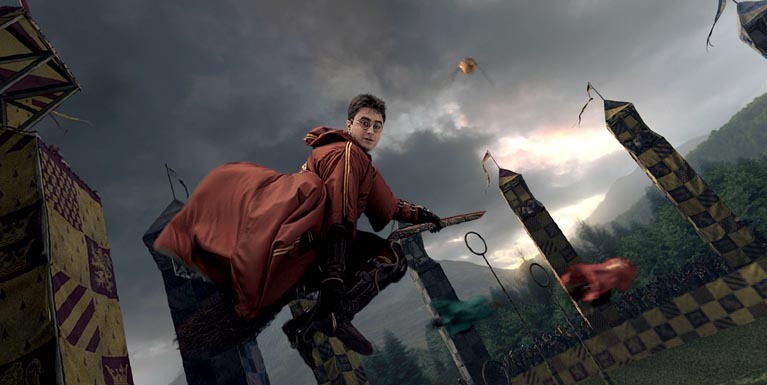 The massive expansion for Islands of Adventure will bring to life the books and movies of the beloved Harry Potter franchise and will allow guests to fully immerse themselves in the world of Harry Potter. Time to wrap up some of the recent news.